Michael B. Jordan, Brian Tyree Henry, Michelle Yeoh and Elsie Fisher may have missed out on Oscar nominations this year, but they will be on stage at the Dolby Theatre during Sunday's ceremony. 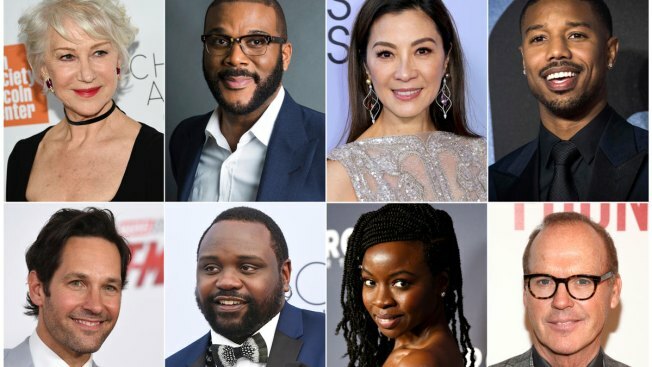 Producers Donna Gigliotti and Glenn Weiss said Tuesday that the actors have signed up to present awards on the ABC broadcast along with Michael Keaton, Danai Gurira, Helen Mirren and Tyler Perry. Other names added include Pharrell Williams, John Mulaney, Krysten Ritter and Paul Rudd. The producers said in a statement that the added stars will bring excitement, momentum and elements of surprise to the show. The 91st Academy Awards will be televised live on ABC Sunday starting at 8 p.m. ET.